Chaos begets chaos in the Badlands, where ruthless barons reign and the only way out is a fleeting myth you can’t hold on to. 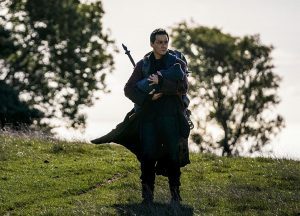 In the third season of Into the Badlands the story is only getting started—there are worlds beyond the wall and we’re about to see them collide. 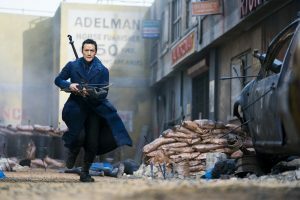 To craft such a rich story takes time, hard work, and faith; for lead actor/executive producer Daniel Wu and co-star Ally Ioannides the filming of S3 has been exhausting but the payoff is immense. The cast are nearing the end of an intensive nine month shoot in Ireland but Daniel and Ally took time out to reflect on their whirlwind year and look at what’s coming for their characters. What we do know is there’ll be plenty of fight scenes to marvel at. 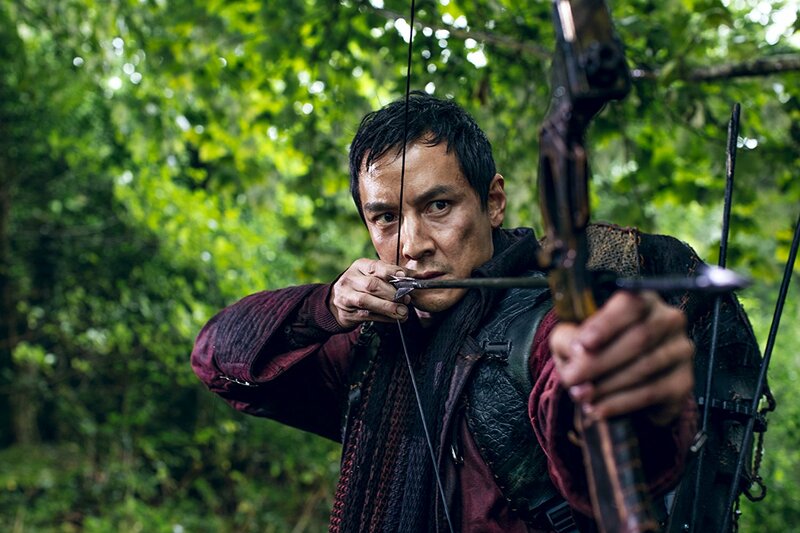 Being so heavily action-based, shooting Into the Badlands means a lot of time and training. After a long day of filming you can hear how tired Daniel is. 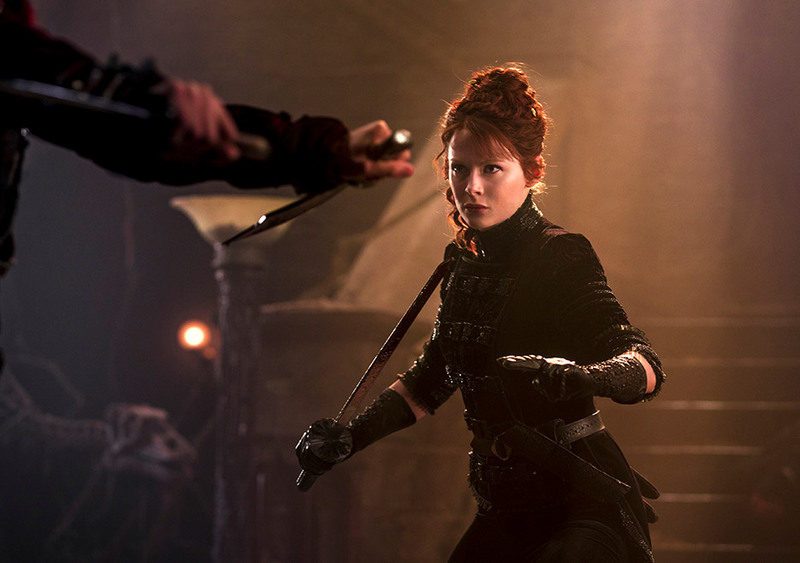 “It’s been a tough season…it’s definitely the longest shoot I’ve ever done.” The choreography and fight scenes alone take hours, and with a sixteen-episode order for season 3 they’re stepping up their game. “There are a ton of fights, and all of them kind of top each other. All of them are great for each character’s style, which is what we try to do to keep it live and fresh, because it’s an episodic show, it’s not like a movie where there’s just four or five fights and it’s over. 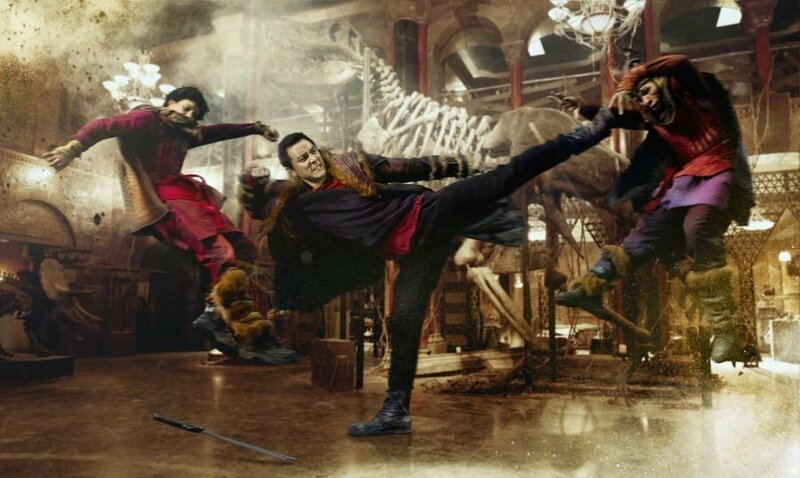 The fights have to keep going, they have to be interesting every time, and we have to keep pushing the boundaries of what we know we can do.” He explains they either use themes from the storyline or they pay homage to kung-fu from classic movies so each fight drives the story forward. Daniel is excited to bring Hong Kong action to Western television screens; for someone who’s such a well-known star in China it’s an interesting challenge to present a show to audiences who often haven’t had much exposure to the genre. “I mean obviously I’d like them to be captured by the storyline, and then the action is a bonus. The action is this visual eye-candy that most people haven’t seen on television before,” he says, pleased they’re achieving what they set out to do. “And we’ve definitely succeeded with that but I think with season 2 we definitely matured in that we were able to integrate the story and the action much better. 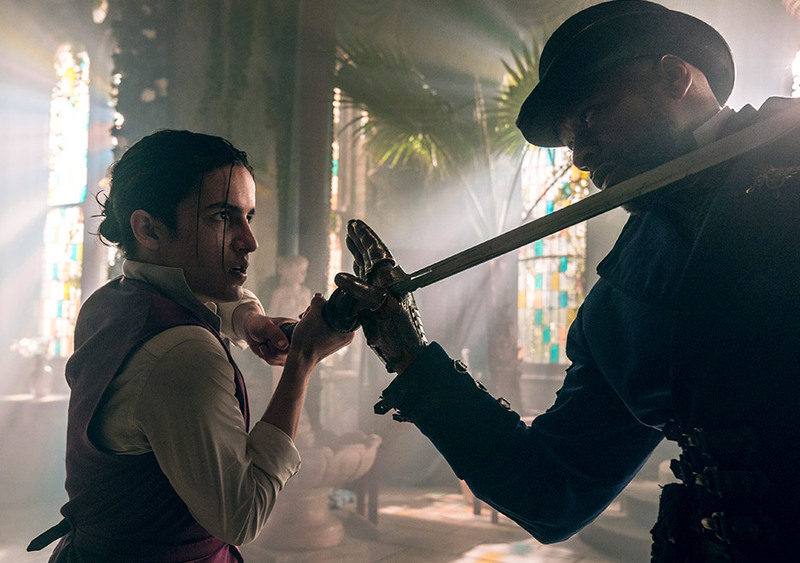 And season 3 just kind of rolls off of that.” With a longer season to play with the fights and storylines can take their time to meld—but it means more choreography to learn and more training. “It’s gotten easier over the seasons but it’s still not easy work,” Daniel admits. “We’re not in a situation where we have the luxury to pre-choreograph all the fights, practise them over and over, and then go shoot them. We learn bits of the fight while we’re shooting it, so you kinda have to be quick on your feet, quick in your mind.” He sees that as part of the fun. “I think of the training as a kind of way to relieve a bit of the stress,” he says, even if it means working out at night after a long shoot before a 6am work call the next day. “It keeps me fresh, it keeps me going. I think if I didn’t have that I’d be much more tired actually,” he laughs. Filming in Ireland has been a dream cinematically—even though the winter was tough on the cast and crew—and the gorgeous natural scenery succeeds in expanding the new season. 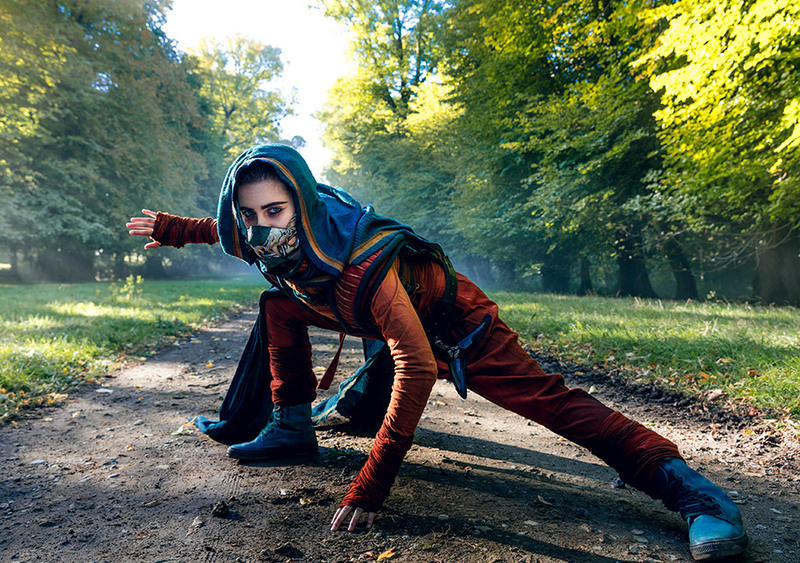 “We’re seeing a much bigger world than we ever saw in the second one,” Daniel says, “with a slew of new characters, a whole different subject matter, a whole other nemesis.” Not only does Ireland’s mysticism lend itself to the legend of Azra but the new areas are straight out of a fairytale, including what was a Natural History museum before the apocalypse. The Badlands—for all of its evil—is a breathtaking backdrop that adds to the magic. 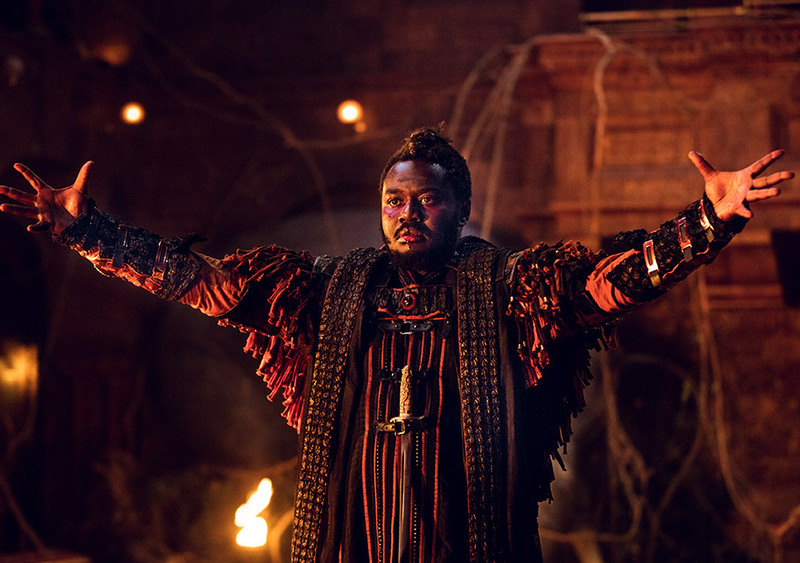 Into the Badlands returns for season 3 on Sunday, April 22 at 10pm, only on AMC.